Farming is an important industry for the Northern Ireland (NI) economy – around 1 million ha (75%) of the NI countryside is used for agricultural purposes, and over 3% of the population (well above the UK average of 1.3%) is employed in this sector. However over the past 40 years this working agricultural landscape has seen enormous change. Mixed (arable & livestock) farming systems, alongside sympathetic management, used to provide a mosaic of habitats for farmland wildlife to thrive, but now land use in NI is dominated by improved grassland management for dairy, beef and sheep production, with County Down one of the remaining areas of cereal production and the stronghold for the residual population of yellowhammer. Due to market forces lowland wetlands have been drained, reseeded and fertilized and hay cutting replaced by intensive silage production, whilst in the uplands abandonment and decline in cattle numbers are issues. The number of agricultural holdings has decreased as farms are increasing in size and employing less farm workers, with less knowledge transfer between generations. 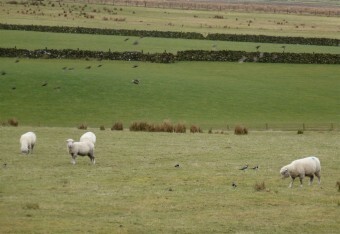 Skills such as shepherding are becoming things of the past. As elsewhere in Europe, these changes have been driven by agricultural policies to increase production, leaving many farmers with little alternative choice but to intensify. As a consequence seed-eating birds such as yellowhammers, wetland-loving wading birds such as lapwing and plant species such as pennyroyal and Irish lady’s tresses orchid have been pushed into steep decline. Grey partridges and corncrake are now extinct in NI, and others, like the chough, teeter on the brink. HNV farming is still evident in some areas across NI. Extensive grazing systems undertaken by the farming communities around the wet grasslands and upland habitats of County Fermanagh, Lough Beg and Antrim Hills are vital in sustaining populations of breeding waders (curlew, redshank, lapwing & snipe), hen harrier and red grouse whilst some remaining late hay cutting allows devil’s-bit scabious to flower providing a food plant for the marsh fritillary butterfly. 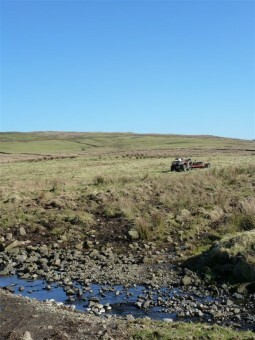 Like elsewhere there are many passionate HNV farmers who want to be able to make a reasonable living from farming sustainably with the natural environment, although finding current support mechanisms in NI such as Countryside Management (an agri-environment scheme) are invaluable but often not enough to remain viable. There is little encouragement, and even less incentive for retaining native/traditional breeds, enabling shorter supply chains or rewarding those farmers involved in the process of producing good quality meat, even though these HNV farming systems provide much wider benefits for society such as protection of landscape features, carbon storage and water quality which in turn underpin sectors such as tourism. 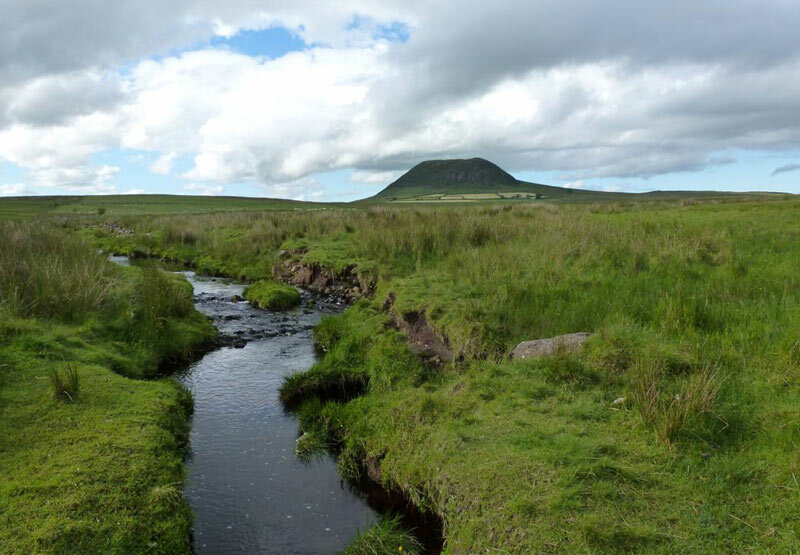 HNV farming has a very low recognition in NI, however it has been acknowledged by both the Department of Agriculture (DARD) and Northern Ireland Environment Agency (NIEA) as needing specific support if Less Favored Area (LFA) payments are replaced. Looking forward it is imperative that these farming systems must be identified, monitored and better supported through the Rural Development Programme if we are to maintain and enhance NI’s environmental and cultural heritage.